It’s been a little while since we’ve had a Natalie Dee cartoon here lately and this one made me giggle this morning. Oh, that Natalie – she kills me!! Okay, well that’s all I got for today because a quickie should be short. Otherwise it would be called a longie…ew, that sounds gross. What does the necklace say? 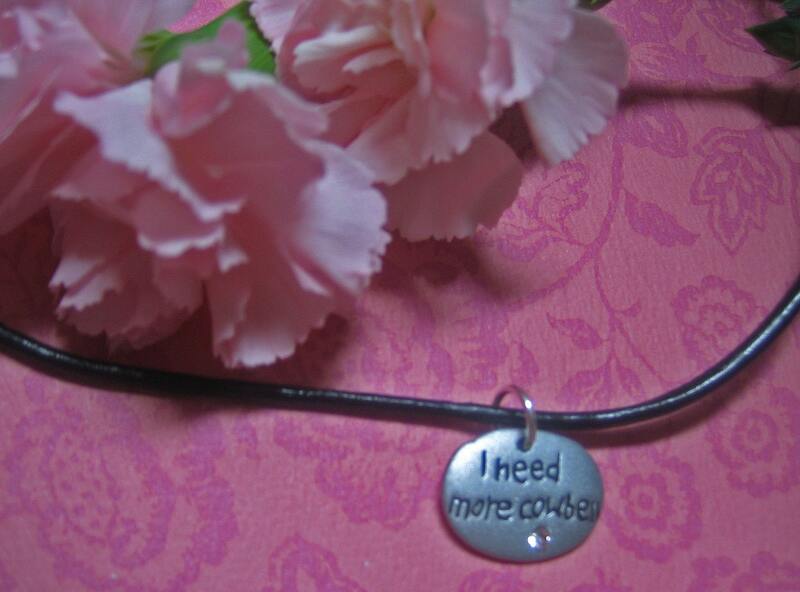 I need more cowbell? What the heck does that mean? I’m totally clueless on this. I’ve wanted to get a scale that measures body fat %, but I’m like you. It’s just not something I want to spend $ on. Looking forward to when you have time for a proper update, dear friend! Hope you are doing well. Will Ferrell + Christopher Walken + Cow Bell = Comic Gold. Thank you for the link! “WHOLE” bags of ’em, I meant. 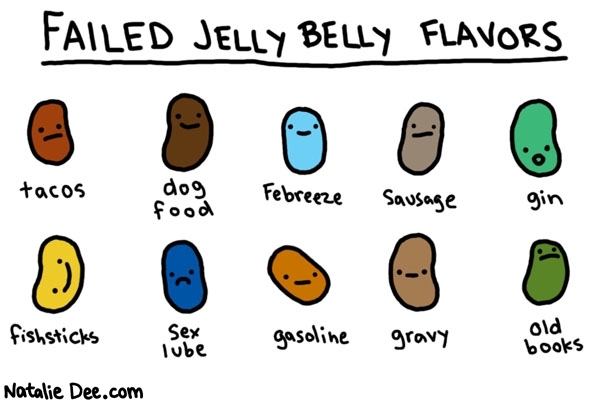 I would so buy the ‘taco’ and ‘gravy’ flavored jelly beans. For some reason, the Febreeze one made me laugh!!! and the fishsticks too. Okay I laughed at all of them. I’m easily entertained. Thanks for linking to The Great Fitness Experiment posting about the Mary Lou’s Weigh product. I work on behalf of the company and we’d like to send you one to try out. If you like it, great! If you hate it, that’s okay too! Either way, we’d really like your feedback on it. If you do like it, we can give you readers a promo code for a discount! Let me know if you’re interested in receiving the product and we can ship one to you!